I do feel that there are beings that live below the Earth deep in caverns. I have done past life regressions with people who have interacted with beings there. Most of the beings that I have seen there via my meditations (I like to zoom around and explore these kinds of places in my quiet moments) have been insect beings. These beings may seem alien and weird but they are ancient and they have been here for much longer than humans and longer than the reptilian species as well. They have extremely tough and durable biological systems that allow them to live in what we would consider harsh conditions at times. I know that there are crystalline cities as well overlapping our earth in a different dimension. Sometimes it is difficult to tell whether or not these beings or places are actually in the third dimension and it is hotly debated to this day! I believe that our dimensions actually overlap occasionally and that the dimensional divide isn’t as cut and dry as the alloted 3rd dimension, 4th dimension 5th dimension understanding. I see it as being made up of mini densities and small step ups in frequency that make up each dimension allowing there to be an overlapping affect when you get to the dividing threshold of each dimension. Each dimension is made up of smaller dimensions…dimensions within dimensions…whoa!!! As for the colonel I see him as being truthful about having an experience like this. People can shift into other densities via vortexes on the planet, we see that with the bermuda triangle, the great lakes triangle, shambala and the poles. It is entirely possible for two individuals to visit the same place and experience different worlds when there is a density shift. As multi dimensional beings with multi dimensional capabilities our third dimensional existence is actually a mash up of many densities. We may exist physically in the third dimension, for the most part, but are entirely capable of going beyond- and when the conditions are right, we break those barriers. Beyond the insect beings I also understand other beings have taken up residence including our own military. 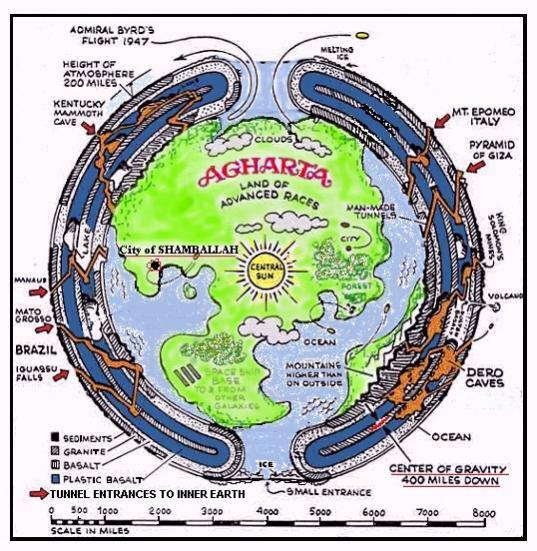 Speaking of military I have always been interested in “New Berlin” the supposed Nazi settlement in Agartha (the inner Earth). Perhaps that will be my next astral adventure (woot)! Telepathy is the intuitive ability to communicate without conventional language. Messages are conveyed through the sending and receiving of blocks of information many times complete with emotions. Telepathy is an ability that everyone has. Every person alive on this planet has the capacity to send and receive information telepathically. Sending and receiving is essentially two sides of the same coin and you can’t have one without the other. However, naturally, there are some people with more of an inclination toward being a receiver and some more inclined to be a sender. People who are more inclined to be a receiver are usually more open in life, easy going, easy to fall in love, they are less guarded. Many times these individuals are so open they feel they get lost when there is too much happening around them and may be quite introverted as a result. Many people who tend to be senders are more cautious, it takes longer to get to know them and they can be emotionally closed off. These types do well in social environments and many times feel like they can command a room or influence people with their strong command of energy. Our psychic abilities mirror our personalities, everything within our body, mind and soul is interconnected. Of course these generalizations are, general and I only mention them to help illustrate the qualities of an open energetic system and that of a closed one, which is the basis of understanding giving and receiving energy. Most people fall somewhere in the middle of these two types. If you feel as though you are lacking in one area take the time to get still and ask yourself why. 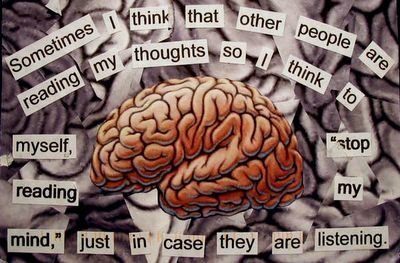 Many times people who feel as though they are not able to receive telepathic insights are actually blocking their own ownership of this ability. Somewhere in their life they decided that it was better to be closed off and protect themselves from the energetic environment around them. This closing off process can block you from receiving the subtle vibes of spirit. One way to overcome this block is to begin visualizing your heart, crown and third eye chakra’s opening up wide through out the day, these are the chakras that are extremely connected to sending and receiving energy. Add some affirmations to your day as well that affirm you opening in a safe and loving way to the world around you. “I allow myself to gently open up to the world around me. I understand that it is safe for me to connect with others as well as my higherself. On the other hand, if you feel you can receive people’s energy loud and clear but have difficulty feeling heard you might need to readjust as well. Really good receivers are wide-open channels and it can be difficult to turn off and control. One good way to do this is to visualize your psychic chakras closing (the heart, crown and third eye especially) until you feel comfortable. Your subconscious mind already knows where they need to be for you to function in a healthy balanced way. Once you do this allow yourself to feel YOUR energy. You may wish to call back aspects of yourself you accidently put aside as you navigated through your energetically aggressive day. Once you feel like you are pulled together allow your personal energetic frequency to increase and feel the sensation of your receiving chakras more balanced and closed off. Try to get a good sense of your unique frequency anchoring it in your mind and heart, that will give you a reference point to go back to when you feel overwhelmed. That visualization sends a message to your subconscious mind that you are limiting the amount of emotional (heart chakra) and mental and spiritual (third eye and crown) information you are receiving. You also create a more stable bio energetic field. Can my telepathic abilities be blocked by “evil spirits”? Is there a test that can help me know whether or not I am telepathic? I know that there are ESP tests you can take that test basic psychic abilities. One way is to go through a deck of cards and intuitively feel each one. See if you can feel the color of the card, is it black or red? Is it a number? High or low? Is it a face card? If so, Is it masculine or feminine? However those games are void of emotion and feelings, which is a vital element to telepathy. You can arrange meetings with friends where you take turns being the sender and the receiver for each other. Telepathy is a natural ability that increases naturally the more balancing and clearing you do for yourself. In order to have strong telepathic abilities we need to have a strong bio energetic field as a foundation. Here is a response to a series of questions about OBE’s and particularly the experience of crossing a vibrational threshold. A vibrational threshold is This is a vibrational threshold is a palpable barrier that we sometimes experience as we break through the membrane of another density. These experiences happen when we are astrally projecting and also in the dream state when we process and release heavy baggage subsequently raising our frequencies. “could make a videos specific to obe vibrations. research on this is confusing to me. some say ignore it others say try to get out when vibrating. if i may in these descriptions below that you could speak on. Thank you for writing me your question. You asked a lot of specific questions about OBE’s, which I am assuming means Out of body experience. So I gathered from this email that you are experimenting with OBE’s and you have come across a “vibrational threshold” and are looking for some deeper insights into this phenomenon. First of all I am getting the intuition that you are approaching this from a very logical mental place. My first suggestion is to release all of the mental energy you have surrounding this issue. When it comes to working with your multidimensional body too much mental energy will slow if not hault the process. OBE’s, astral travel, for our purposes is mostly about surrender and trusting your all knowing higher-self to do the job. This is why we usually have OBE’s when we sleep or in a deep state of meditation, because our mind is surrendered. SO your state of mind when approaching an out of body experience should be surrender. Having OBE’s is essentially like switching gears in a car, you have to switch from conscious mind dominated consciousness to a more subconscious or spirit mind dominated consciousness. I recommend focusing on the sensation of slowly pulling yourself out of the way and allowing your higherself to begin stepping in. Ultimately you have already set your intention, your subconscious mind knows what you would like to experience so its about you moving out of the way. So when you get to a certain level of relaxation or coherence with the intent to have an OBE sometimes you have a “contact experience”. You know, when jody foster is shaking out of control and then she breaks a barrier and there is stillness. This is something that actually happens when people have OBE’s. People also sometimes hear loud noises as though there is machinery grinding or squeaking. You are breaking through a threshold at that point and you are speeding up so continue to do exactly what you were doing before you reached the threshold. Maintain deep peace and observe what is happening in your experience. I am not sure if they go away. I know that people OBE with them and they go away for a while and then they will go through them. I assume that the more coherent you are the smoother the ride will be. The more at peace you are , the more balance you have. Be sure you are not resisting the experience as well, as resistance can make things a struggle and bumpy in general. I do not know if there is a right time. I assume that would be a personal choice. There may be small factors that play in your favor before bed or as you are waking in the am as you are already going to have an OBE or just had an OBE. Ultimately you can do it anywhere anytime, you have that ability. I would follow your gut here. I always just allow it to happen and understand that my higherself knows exactly when I need to move forward. I always intend that before I do any deep meditation work. Try both, have fun with it. I feel a calm intensity in my heart chakra area and I also will feel a pull or get a sensation of motion usually from behind me and out of the crown of my head and my neck. I usually sense a presence around me as this happens and will see and feel colors. I actually begin to feel warmer as well many times. I assume everyone is different so please share everyone who is doing OBE work in the comments. I had my first vibrational threshold while I was lucid dreaming. And for me it served as an indicator that I was shifting into a higher density. It also happened, I felt because, I was trying to mentally process it and understand it which caused me to flash in and out creating a feeling of vibration. I heard gears grinding, as though a train was grinding to a hault as well. Inerestingly I have heard and read accounts of people who have has NDE’s experiencing the same sensations, so it is definitely associated with the shifting of densities.I assume that your body is adjusting and connecting to a higher frequency. Can You Lose the ability and are there other abilities? I don’t believe you can lose your ability to astral travel. We have OBE’s all the time and have been having them before we even gave them the name “OBE’s”. I believe it is a natural phenomena as valid and important as breathing. We are multi dimensional beings, we have aspects of ourselves that are in higher densities right now and merging with them is therapeutic and essential to our process here on this planet. As for other abilities… I think we are just scratching the surface of the psychic abilities we already know about. I think we have so much to learn and explore about our potential. I close my eyes. I don’t want to be distracted and when I close my eyes my body already associates that with rest and relaxation so I find it to be easier. You can trance out with your eyes open. It’s all about opening your spirit eyes though in this case. When I OBE I do not use my physical eyes to see at that point I al using a deeper set of eyes and I am actually in my astral body which has different sensory capabilities. Thank you for writing me I hope I answered your questions. Please comment as well I know there are a lot of fantastic OBE ers out there and I would love to read your answers to these questions an hear your experience.